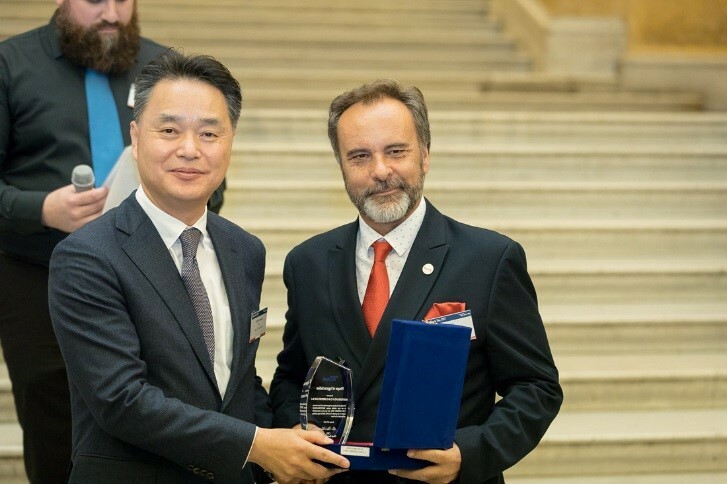 On 20.10.2017 in Vienna, Austria and during the GLOVIS Day- a spectacular celebration- (MEDITERRANEAN CAR-CARRIERS LINE S.A.) ,represented by the CEO-Mr George Kavadas, received the PLAQUE OF APPRECIATION by Mr Ritchie Kim 김수철 이사대, the CEO of Glovis Europe GmbH. GLOVIS Europe recently redesigned its supply chain of Hyundai and Kia vehicles from European production plants in the Czech Republic and Slovakia to the Spanish market by shifting from land transportation to a multimodal and more environmentally friendly scheme using Koper as transshipment port. 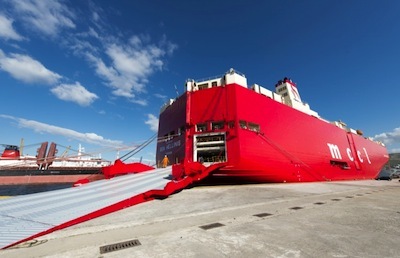 Since the beginning of this year, the short sea Line Mediterranean Car-Carriers Line S.A. (MCCL) has been operating a dedicated weekly short-sea service from Koper to Tarragona to support this new transport scheme for the combined volume of about 50,000 Hyundai and Kia vehicles annually. This newly established regular flow has been designed also to cope with the further expected volume increase connecting Eastern Europe and the Iberian Peninsula. Numerous nominations referred to the company's flexibility and its determination to perform in accordance with its customers' requirements. 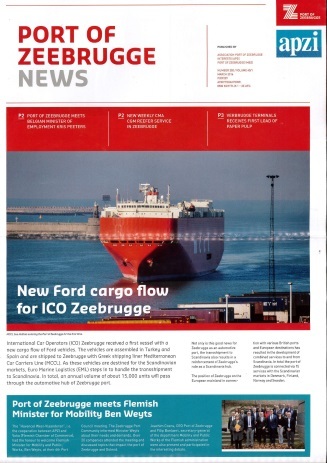 Many others cited MCCL's reliability and excellent understanding of the automotive sector.The company has rapidly increased its tonnage to meet customer demand and has adopted innovative ideas, such as the 'door/door' service , combining and cooperating with the entire transportation chain.